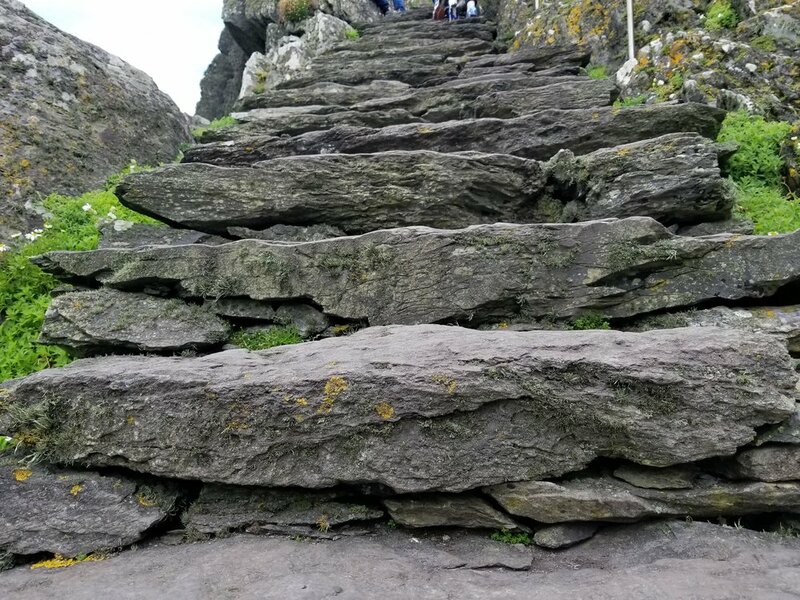 I went to Skellig Michael and it was better than Star Wars. By Rebecca Dixon, Director of Sales & Marketing for Crafted Ireland. I'm never anti for the sake of being anti, and in this case most definitely NOT anti-Star Wars. I mean, Luke Skywalker had me at "I care." 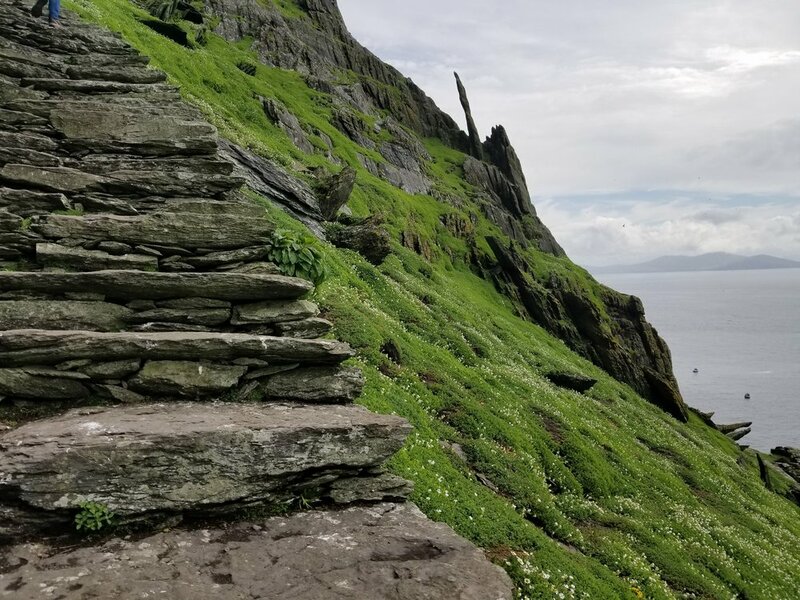 I'm beyond thrilled at the attention that Ireland and Skellig Michael are receiving from their roles in the new Star Wars movies. 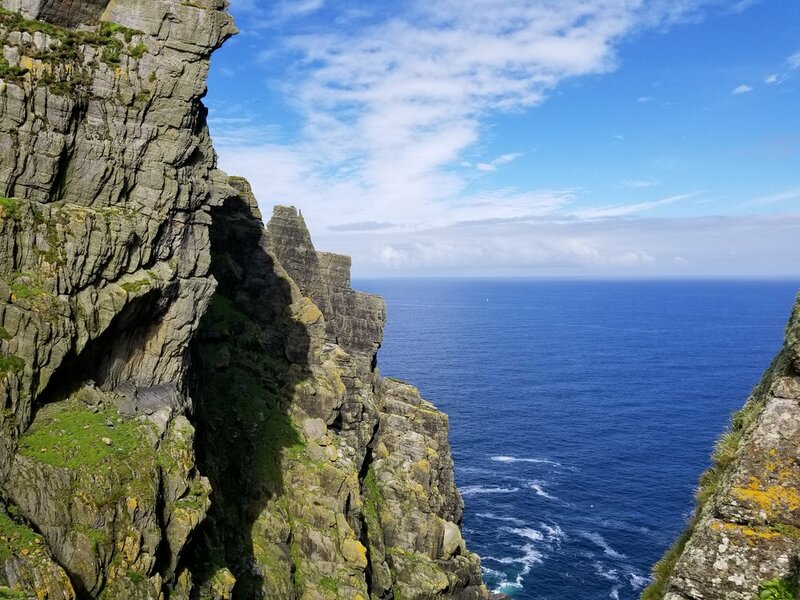 My personal voyage to Skellig Michael, however, was perhaps my most life-enriching journey to date, and it was not about Star Wars or Luke Skywalker. It was one of awe and respect for the human spirit, dedication, perseverance and faith. I feel inspired to share a different view on the significance of this very special destination. The Skellig Islands lie about 8 miles off the southwest coast of Ireland in County Kerry. It is a journey itself just to get there. 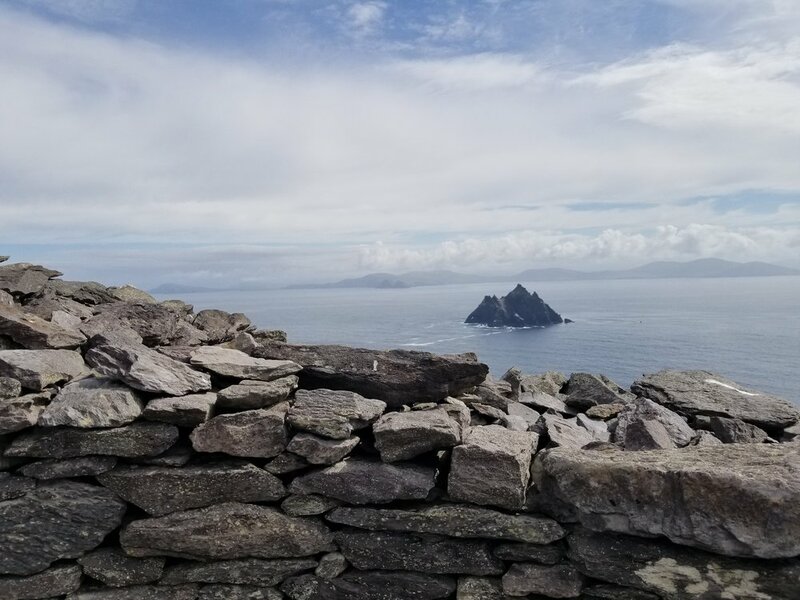 Only accessible to a limited number of visitors May through October, Skellig Michael, the largest of the Skelligs, is a UNESCO World Heritage Site that is carefully cared for and maintained to protect the integrity of its very deep and rich spiritual heritage. 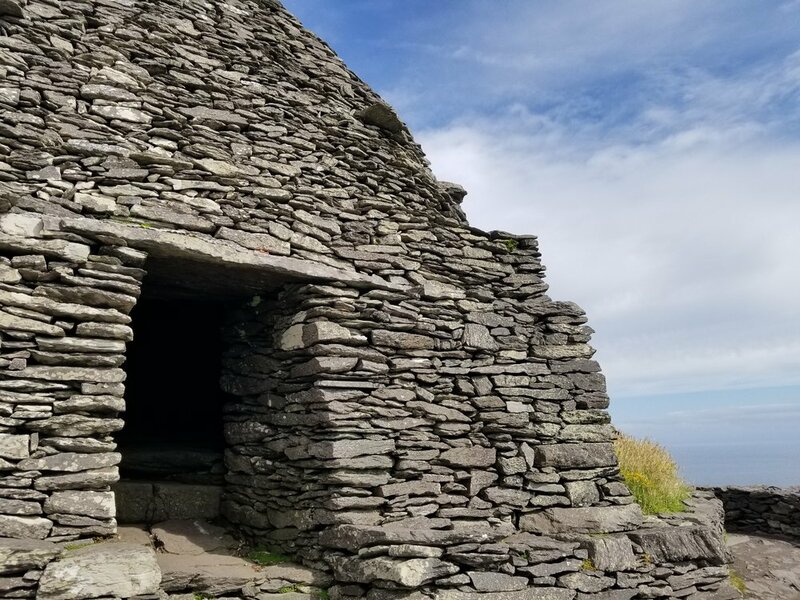 The earliest reference in history to the Skellig Islands dates back to 600AD when the monks of St. Fionan's monastery chose Skellig Michael as their destination to achieve a greater union with God. This very remote location, one can imagine, was as far from civilization as they could find, and as high to God as they could reach. The result of their efforts was one of the most dramatic examples of the extremes of Christian monasticism. They lived a life of solitude and braved severe weather conditions and exhausting miles between the mainland and the island as they ventured to and from in tiny boats to bring food, supplies and materials for their settlement. The devoted brothers would descend the 670 steps every morning to fish for breakfast and would spend the rest of the day praying, tending to their gardens and studying. 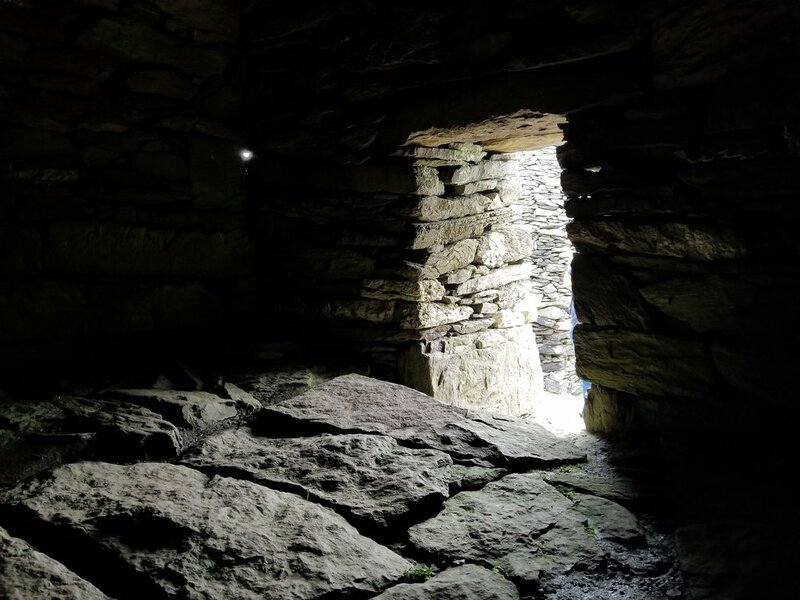 Their huts, which are round on the outside and rectangular on the inside, were carefully built so that not even a drop of rain would enter between the stones. The well-preserved monastic remains have retained a strong spiritual after-life which appeals strongly to the human psyche. Today, visitors get a sense of the magnitude of the monks' sacrifice and dedication when they explore the island and get up close to what remains of the strategically constructed beehive shaped huts. The monastic community may have moved to the mainland by the thirteenth century but the island continued to be regarded highly as a place of pilgrimage in the following centuries, and in the nineteenth century, two lighthouses were built on Skellig Michael, thus establishing its significance in Ireland's maritime history. It's not only man, however, who contribute to the significance of the islands. 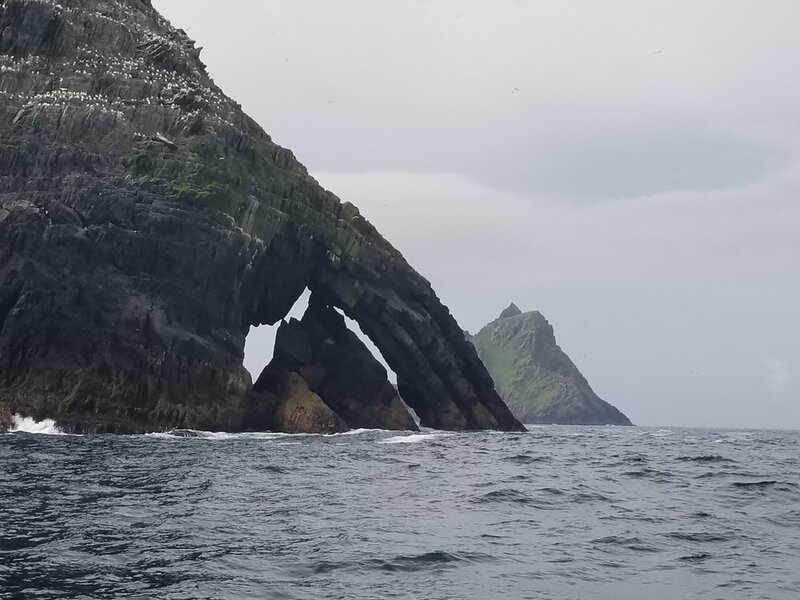 Both Skellig Michael and the neighbouring Little Skellig, are internationally renowned as some of the most important sites for breeding seabirds in Ireland. The natural makeup of the islands provides a safe haven for immensely important populations of seabirds, where they can nest and rear their young. The surrounding Atlantic Ocean offers both rich feeding grounds and protection, keeping the islands free from predators. 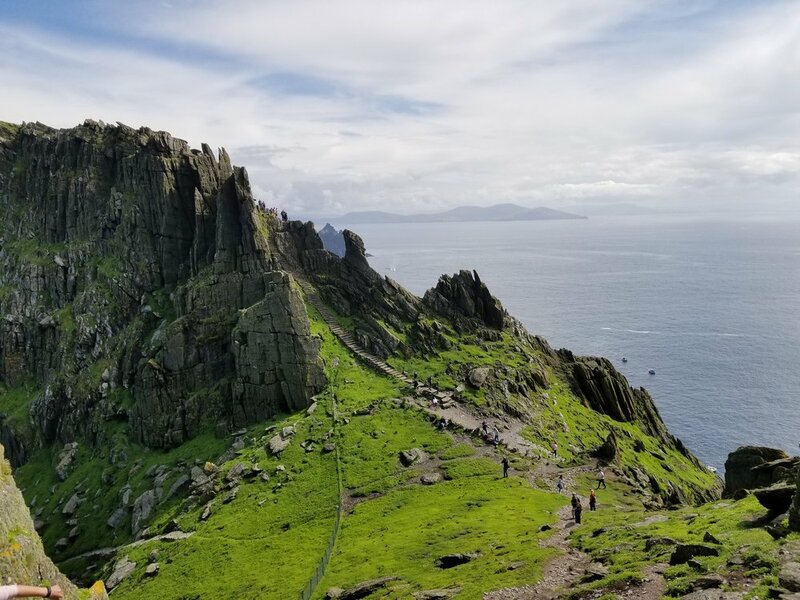 Whether you are a Star Wars fan or interested in ancient architecture, history or early Christianity, contact us today for your own personal journey to Skellig Michael. 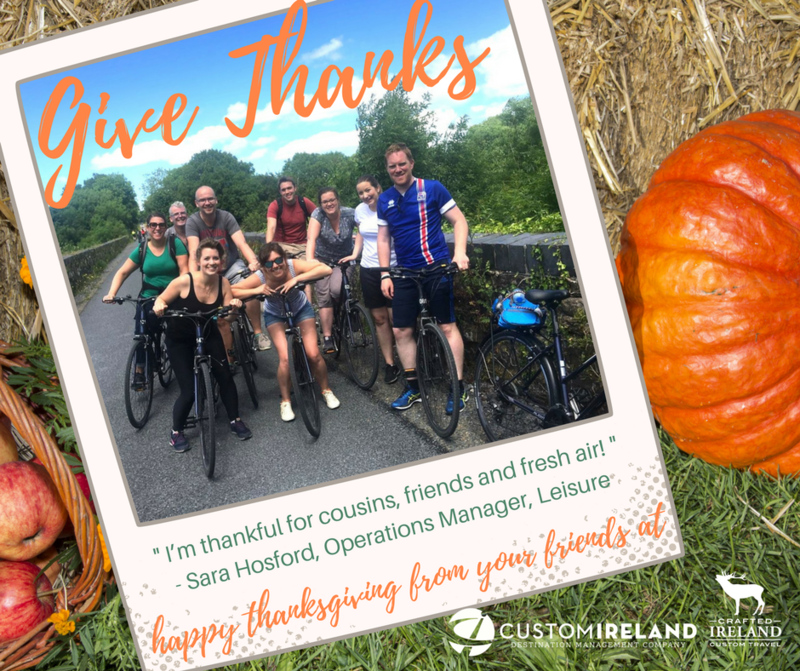 Messages from your team in Dublin (Sara, Crothur, Sandra, Julie & Niamh); and from around the world: Celia, Francesca, Rebecca, Felicitas, Laura, Julia & Camille (not featured is Ciara who is now flying the friendly skies with Aer Lingus!). Each day presents all of us with opportunities to be thankful and express gratitude, but it is so easy to get wrapped up in our work and the hustle and bustle of our daily lives and stop to reflect on the people and things that bring us joy. 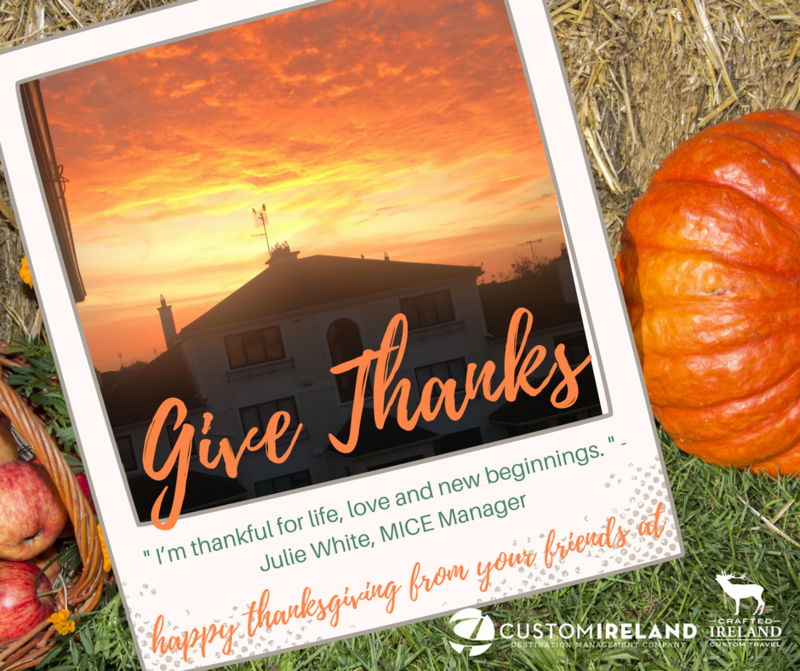 At Custom Ireland/Crafted Ireland, we are thankful each and everyday that we have the wonderful job of being able to share the gifts of Ireland with you. 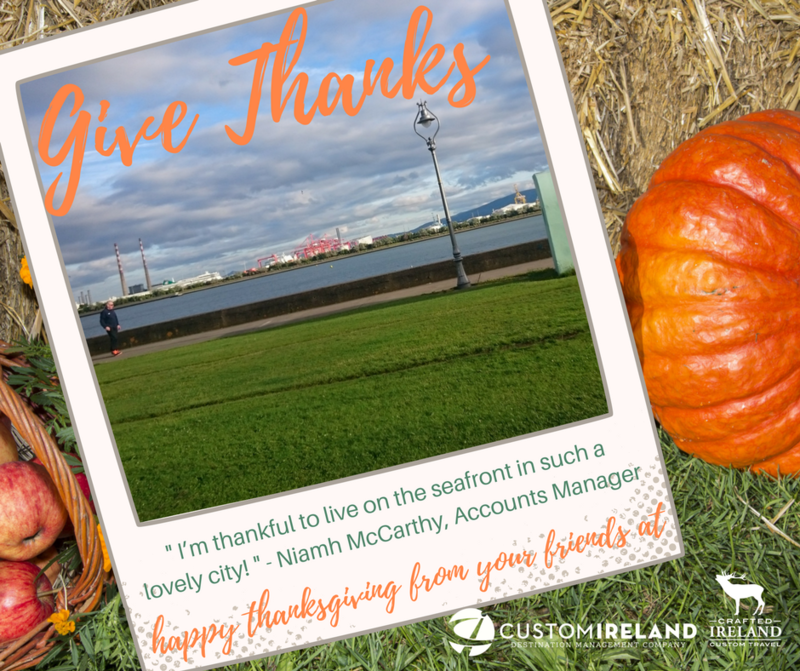 To our clients, suppliers, partners and our own team who all make it possible: We are thankful for you! As we enter this holiday season, a few words from our team as we express gratitude for the blessings in our lives... click on a photo to scroll through! Crafted Ireland is the luxury, leisure division of Custom Ireland a leading Destination Management Consultants in Ireland. 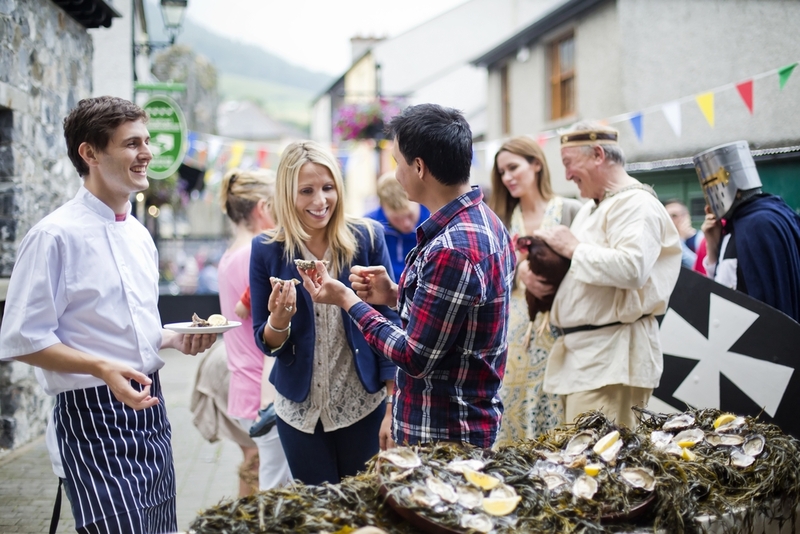 We've been welcoming groups to Ireland and delivering quality travel programs and memorable signature moments to satisfied customers for 21 years. Join our satisfied customers, contact us today and experience Ireland the way you always dreamed. Beyond The Pot Of Gold. "I love St Patrick's Day! Regardless of what the weather is like on the day, St Patrick's Day is a farewell to dark evenings and a big Hello to Spring! The sun has not come out quite yet, but there is a distinct promise of warm weather to come with the garden coming to life with daffodils and tulips a plenty. I love it because the day brings me back to my childhood, picking the shamrock in the garden to pin it on our coats, watching the parade (sometimes even going to the parade in Dublin city). When I was a kid we always observed the Lenten fast ( I mean, we gave up sweets and cakes for the seven weeks before Easter). We were always allowed to break this fast on St Patrick's Day. It was sugar heaven! Nowadays our St Patrick's Day ritual revolves around the dinner….Roast spring lamb is my favourite meal of all times and is always on the menu on St Patrick's Day, no matter where I am. Delicious. Mostly though, I love St Patrick's Day because it gives us all a chance to enjoy our Irish-ness. Being outwardly, nosily, proud of being Irish isn’t really a national trait. It's not in our DNA, except for Paddy's Day, that is. We’re even more boisterous about it when we’re away from home. Some of my best memories of the day are from times I was abroad for the 17th March. Treasured memories. Lastly, of course, it’s a day off work / school. If nothing else, who can argue with that for a reason to celebrate?" Happy St Patrick's Day from your friends at Crafted Ireland. Niamh follows celebrity chef, Kevin Dundon's Roast Leg of Lamb recipe. You can find the recipe by clicking here. Fancy a stay at Kevin Dundon's luxurious Georgian estate, Dunbrody Country House? With a cookery school, brewery and stunning gardens on property, there is a lot to explore forincentives, groups and individual luxury travel. Luxury travel and fine dining shouldn't be limited just because of special dietary requirements. Satisfy your passion for flavour and your taste for adventure on this gluten-free tour of Ireland. Savour luxurious, 5-star accommodations, fine gluten-free dining, an elite cooking class on a traditional Irish farm, an exclusive whiskey master class at the Jameson Distillery (where all whiskeys are gluten-free) and more. 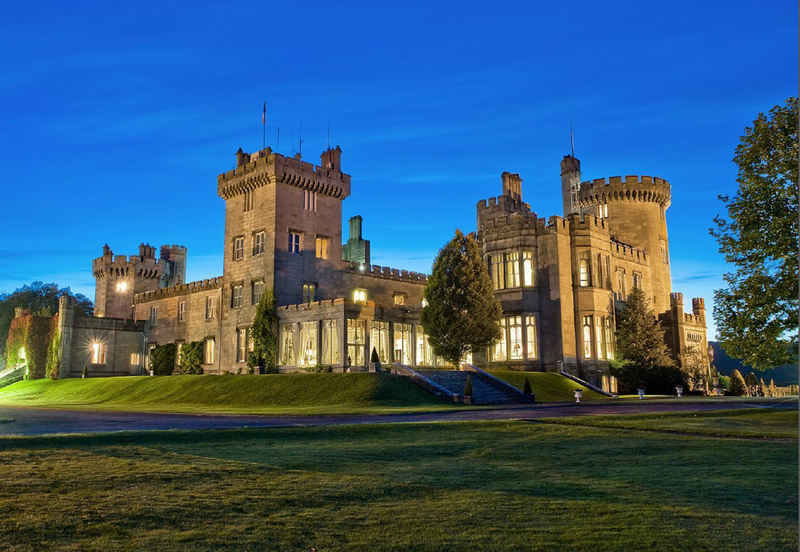 Immerse yourself in authentic Irish culture, take in the scenic countryside and explore historic attractions as you journey from Dublin to Killarney on this unforgettable vacation. This tour caters to the gluten-free traveler, but is open to anyone with a taste for adventure. Visit http://www.craftedireland.com/gluten-free-tours/ for full details. Sign up for our newsletter today and receive a 10% off promotional code. Some say Ireland is famous for its rainbows. Some say for its pubs. - We say, "Have it both ways!" and give you a rainbow of Irish pubs. If it's the gold you seek, look no further. You'll find a wealth of authentic Irish hospitality and charm on the other sides of these doors. Visit www.irishpubtours.com to begin your adventure. Photos by MacMonagle and Fegan. In an Irish Pub, the greatest works of art don’t hang on walls, but rather in the air itself. You'll be surprised at the wonders that can unfold within one single square room. 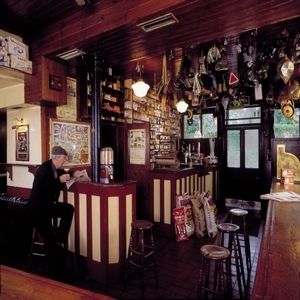 Doubling as a merchant since the 19th century, Curran's Bar in Dingle, Co. Kerry at one time "sold everything," - literally supplied every business in town from the local chemist and clergymen to the farmers and tailors (and everything in between). Generations later, pub-owner James Curran still marvels at the archive of billhead receipts safely stored for posterity's sake. He's proud, and quite fond of the history piled on the shelves in that single square room that remains unchanged from the studs to the Valentia slate floor. And it's no trouble at all when those stacks of shirts, boots and hats need to be temporarily tucked away to make room for a lively impromptu sing-a-long or a bevy of thirsty patrons who want to chat for the night. “There’s people come into me for a drink. And I get talking to them. And they’ll stay for the night. To just….to be talking.” says Curran in the opening sequence of the official trailer for The Irish Pub film which debuted last year in Ireland and North America. It’s stories like these that are brought to life in The Irish Pub film, that inspired Custom Ireland’s Managing Director, Crothúr Murphy, to create authentic and intimate pub tours of Ireland featuring many of the pubs from the film. So intimate, in fact, that many of the pubs visited on the tour will be opening exclusively for Crafted Ireland’s groups, outside of their normal business hours. If you really want to understand the Irish way of life, these pubs, some centuries old, are living tradition. Listen to pub patrons spin colourful yarns and soon understand why Irish sweat­ers have achieved such fame. Or perhaps some fiddle and pipe players, modern-day wandering minstrels, will stop in and fill the room with traditional Irish folk music, leaving no choice but to dance a jig or sing along. In the swirl of this revelry, you’ll understand that here, in an Irish Pub, the greatest works of art don’t hang on walls, but rather in the air itself. Crafted Ireland’s Irish Pub Tours are a celebration of the pub and the publicans who run them. 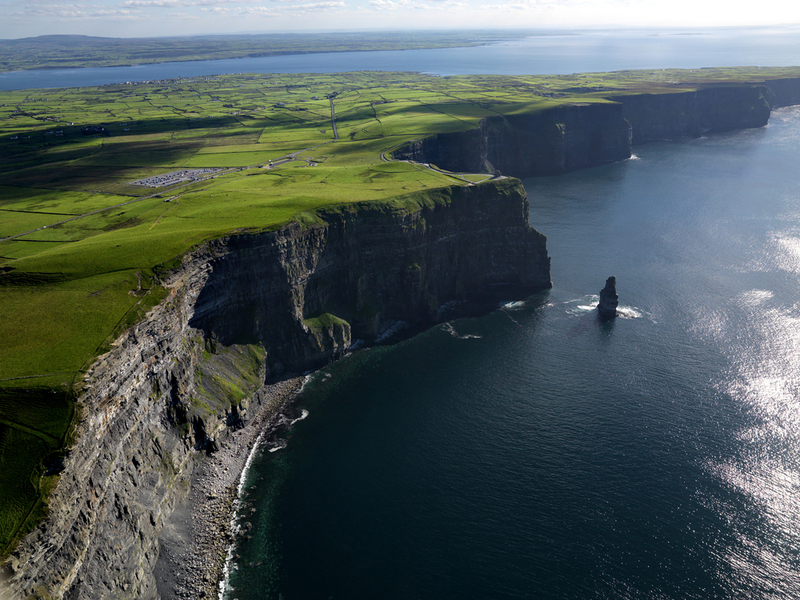 The journey takes guests on an off-the-beaten-path exploration of Irish culture and immerses them in authentic character and history – delivering more than a perfect, creamy pint of Guinness and stunning landscapes, but also a world with warmth, wit, heart and soul. Click here to start your adventure today!